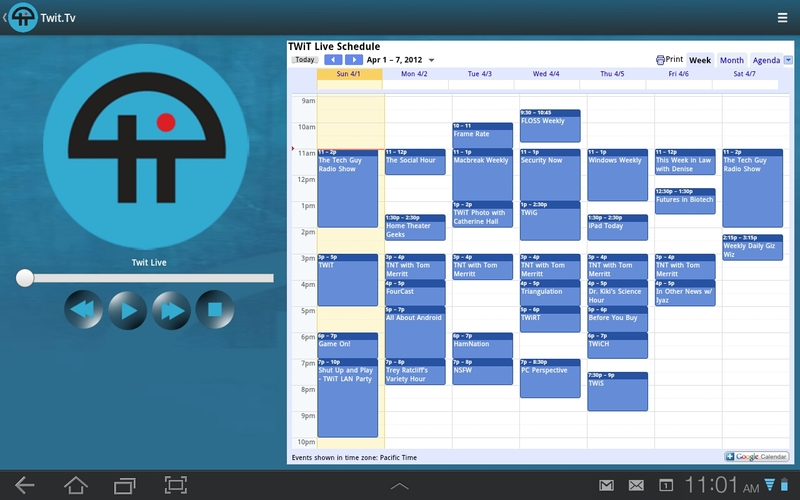 Twit.Tv allows you to watch live video streams from Twit.tv on devices running android version 3 and higher. 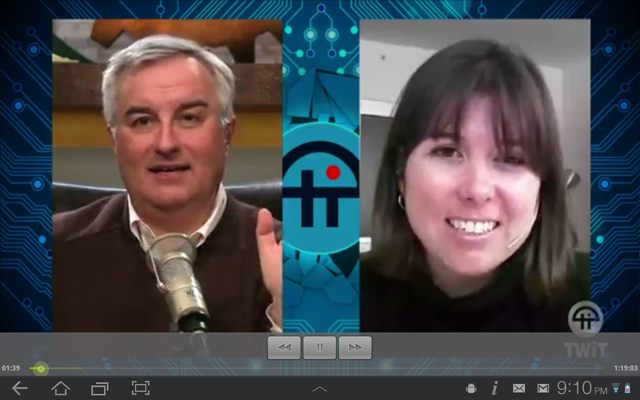 Twit is Leo Laporte’s Internet Broadcasting Network. 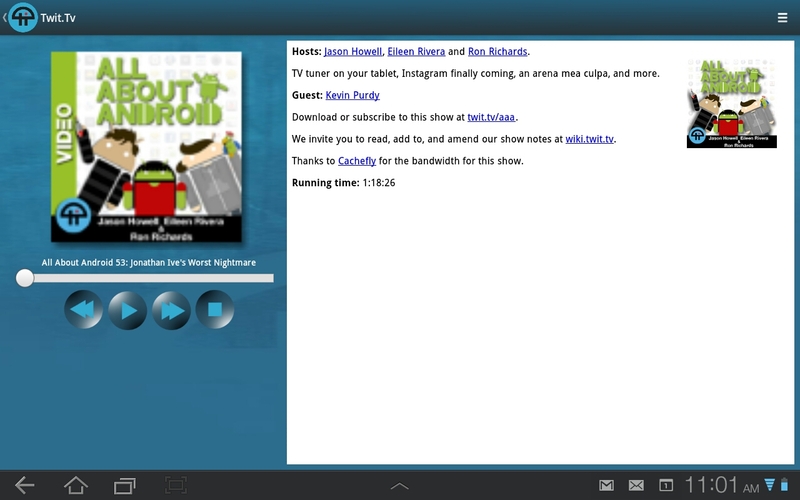 For android devices running versions of android less than version 3 you are limited to the on demand shows twit publishes as video and audio podcasts. Currently older versions of android does not natively support live streaming. 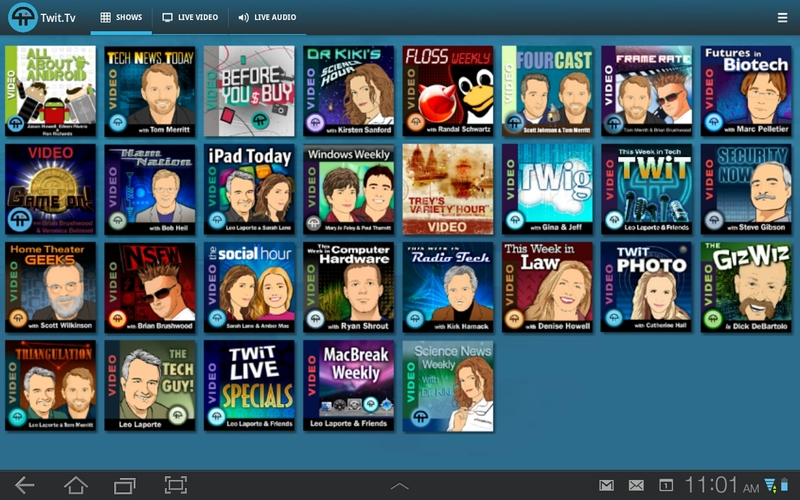 Version 1.1 adds the ability to listen to the live audio stream and on demand audio podcasts as well as support for the kindle fire. 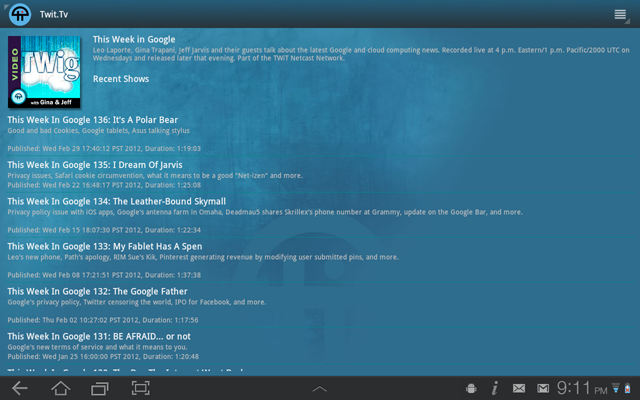 The application is now available in the Amazon App store and the Barnes & Noble Nook App Store.